Welcome to the project "Whole of Society Conflict Prevention and Peacebuilding", or WOSCAP. Its objective is to enhance the capabilities of the EU for implementing conflict prevention and peacebuilding interventions through sustainable, comprehensive and innovative civilian means. The WOSCAP project has focused on conducting evidence‐based research on EU conflict prevention and peacebuilding, producing a number of research reports on specific countries and key thematic areas. To assess the EU's efforts the project looks at three types of existing EU interventions, namely Multi‐Track Diplomacy, Security Sector Reform, and Governance Reform. Over the course of 2016, this was done through a combination of desk and field research in Mali, Yemen, Georgia, Ukraine, Kosovo, Afghanistan, Sri Lanka, Guatemala and Honduras. Various ‘community of practice' events and forums for dialogue on thematic areas have brought together policymakers, civilian and military practitioners, academic experts and the beneficiaries of EU interventions. In 2017 the project has been focussing on producing a tailored set of recommendations to improve the EU's civilian means for conflict prevention and peacebuilding. 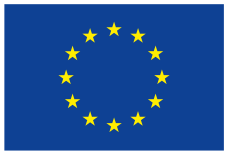 To assess past and ongoing conflict prevention and peacebuilding initiatives of the EU and its partners. To create an evidence base of best practices and lessons learned, in order to identify capability gaps in current EU and partner engagements, and elaborate options for change and potential improvements in long-term peacebuilding efforts by civilian means. To complement and adjust existing capacities, policies, and initiatives for conflict prevention and peacebuilding, through an inclusive policy-practice dialogue and the development of policy recommendations. To make a significant contribution to civilian conflict prevention and peacebuilding, by identifying future research priorities, and enhancing the potential of information and communication technologies. WOSCAP goes wired: Whole of Society approach workshops in Colombia. You can download the project summary here. You can download the new WOSCAP brochure and leaflets from this page. Why is Local Ownership to Peacebuilding Important? Georg Frerks on peacebuilding of the EU in the case of Sri Lanka. Reflections on the project "Whole of Society Conflict Prevention and Peacebuilding"